Buddha is a philosophical teacher and saint who found Buddhism. Reclining Buddha pictures Buddha in his final stages of life,when he was about to enter the parinirvana. 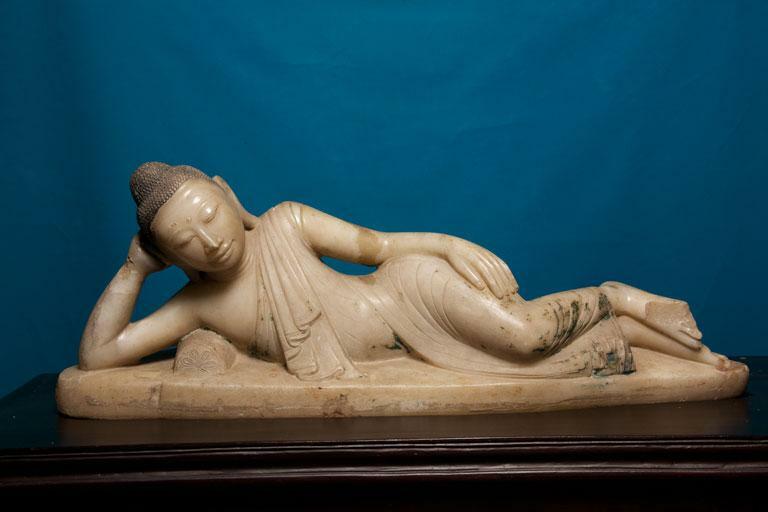 This statue represents Buddha lying down and is a chief iconographic and statuary model of Buddhism. Here in this exhibit, Buddha is in Mahaparinirvana posture. The sculpture is made of marble. He is lying on the right flank, supporting his head with his right hand.